Whether you’re looking for inspiring discussions with other successful executives, considering how business advisory groups in your organization can impact your business, or want the benefits of an online community over 17,000-strong, Vistage has the right solution. The Vistage Chief Executive program is about continuously developing your leadership skills and driving real results in real time. No theoretical business school scenarios—instead, you get continuous, accelerated, practical executive coaching and peer perspective that you can immediately put into practice. Start making smarter decisions that produce better results. Monthly problem-solving peer group meetings consisting of CEOs, executives, presidents or business owners. Professional facilitation by Phil Holberton, a seasoned Vistage Chair. Monthly, personal executive coaching sessions with Phil Holberton. Up to 8 training workshops a year led by a Vistage expert speaker. Access to an online best practices library, member conferences and a network of more than 17,000 global business leaders. Who do you turn to for objective advice with no hidden agenda? Vistage members and business coaches give you solid feedback, help you see new opportunities, and hold you accountable for taking action. The Key Program builds that circle of trusted advisors whose only agenda is helping you succeed. Monthly, executive peer group meetings led by Phil Holberton, a seasoned Vistage Chair. Up to 8 annual small-group workshops led by Vistage expert speakers. Connectivity resources, including an online best practices library, webinars and member conferences. Access to the Vistage global community of more than 17,000 business leaders. I appreciate the Vistage approach of asking clarifying questions to help get to the root of an issue. The main value I get from Vistage is using the advice from my Vistage group to assist my effort in solving company problems. 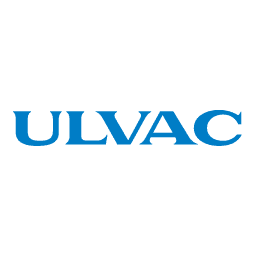 Dave Sackett, CFO and CIO ULVAC Technologies, Inc.
My Vistage experience has been extremely positive and I would strongly recommend Vistage to any business leaders who are truly interested in expanding their leadership skills. The Vistage Inside program offers a configurable talent development approach that fully engages your team, equips them with the skills and sensibilities to manage collaboratively and helps them achieve higher levels of performance. With its unique combination of elements, Vistage Inside can help you develop one of the most engaged management teams in the world. Peer group sessions that will align your team on issues and opportunities, empower them with a common language and shared goals, inspire collaboration, and break down functional silos. Executive coaching as part of an ongoing executive team development program, your leaders will receive one-on-one coaching with Phil Holberton. Expert speakers will facilitate workshops to inspire new ideas, strategies and solutions. Phil Holberton will be at the center of the Vistage Inside program, enabling conversation and collaboration rather than providing prescriptive answers.